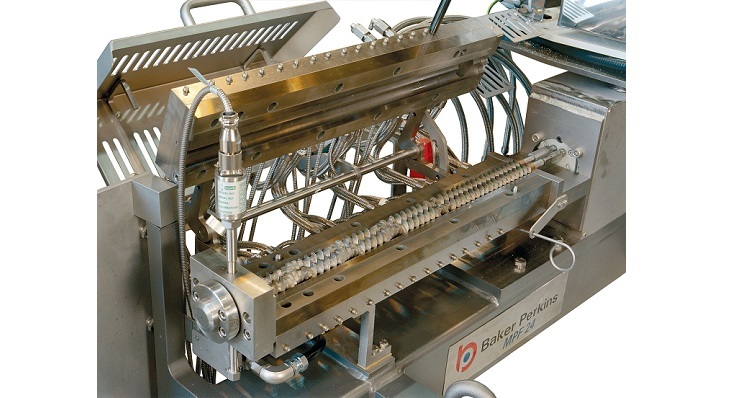 Baker Perkins’ MPF24 Twin Screw Extruder is a small batch extruder for development work and low output production runs. Ideal for experimental and laboratory use, it is used to try out new ideas, assess ingredients, provide test marketing samples, and even make small production batches of product with high-value ingredients. 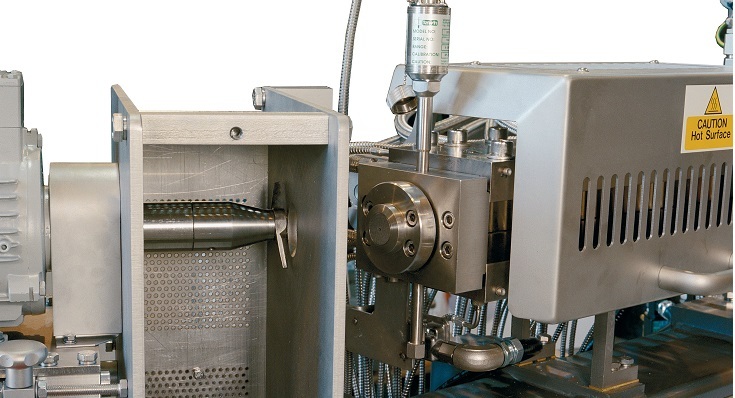 The clam-shell barrel can be opened at any time to assess the state of processing, allowing screw section profiles to be optimized. 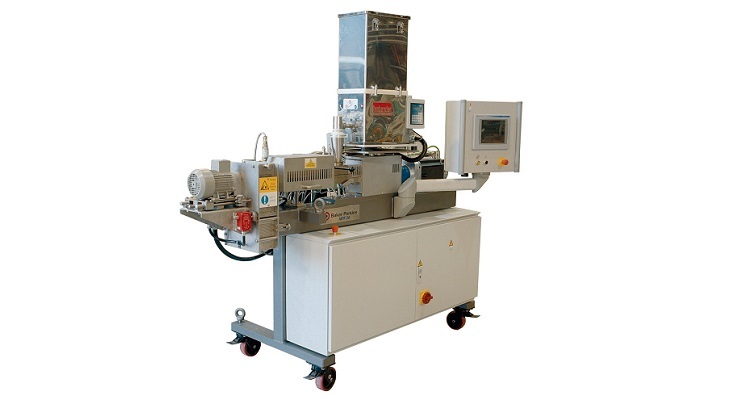 The machine is mobile, available with a full selection of cutters and dies, and features sophisticated controls that include date capture, trending, and recipe function. Products that can be produced range from standard direct expanded curls, rings and puffs to complex multi-component premium products. 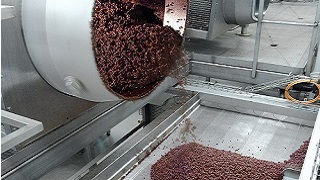 Ingredients are texturized and cooked through a combination of heat, mechanical shear and moisture addition. Flavours and colours can be added easily. 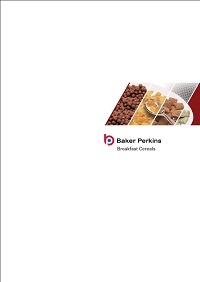 Full, reliable scale-up to outputs from Baker Perkins’ range of production scale food extruders is possible with comparable screw geometry. 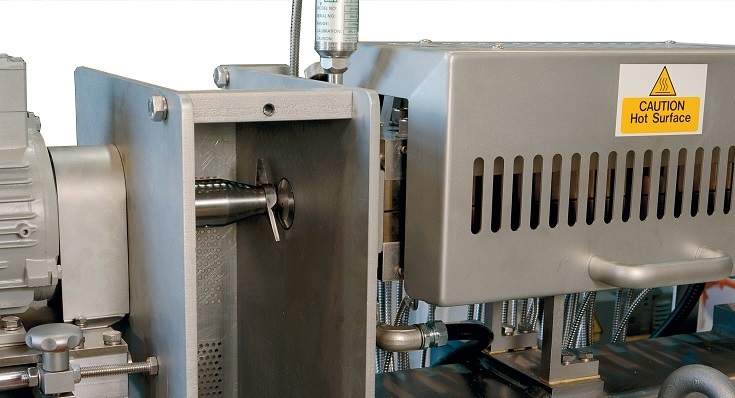 A gravimetric dry powder feeder system is used to accurately meter the dry powder pre-mix into the infeed port of the cooker extruder. 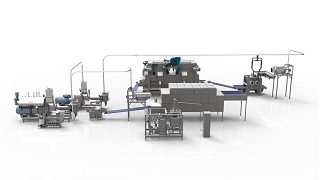 A liquid feed system is used to pump process liquid from holding tanks into the extruder barrel.